My kids are total pancake fiends, known to wake up at 4 am bounce over to my bed and demand pancakes. While 4 am pancakes may not be happening, they are cooked a lot in my house. I’ve tried to switch it up a bit by making interesting pancakes from around the world like Finnish pancakes and Icelandic crepes, but still, the recipes are always white flour based. I want to give them a bit more nutrition in the morning, so they don’t just crash by 10 am. I’ve been experimenting with almond flour in my baking more lately, and it’s surprising that the kids don’t seem to be able to taste the difference. 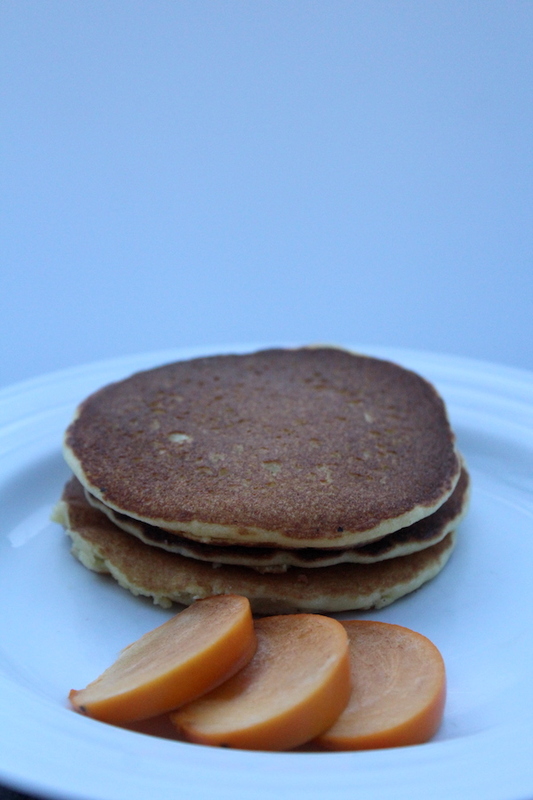 With almond flour pancakes, they devoured them with the same excitement they always do, but with one key difference. Instead of asking for plate after plate of silver dollar pancakes, they each ate a reasonable quantity and then went back to playing. Almond flour pancakes are much more filling than the average white flour pancake, and clearly, they filled those tiny tums much faster. I consulted many recipes, and most said that you need to add either tapioca starch or coconut flour as a binder. 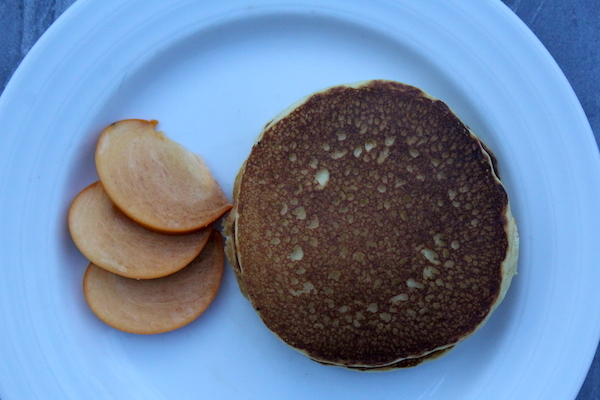 I found that not to be the case, and pancakes made with very finely ground almond flour cooked up just like any other. The top bubbled on the pan, which let me know just when to flip them. The most surprising thing I would say is that they didn’t stick to the pan. Not at all. I cook on a cast iron skillet, and often I have to butter it between batches. The almond flour pancake batter crisped up nicely on the outside without any added oil in the batter or on the pan. It’s true there’s plenty of fat in almonds, but at least there’s no need to add either butter or coconut milk for cooking. The real trick is deciding how to serve them. Sure, you can just cover them in syrup, and since we make our own homemade maple syrup up here in Vermont that’s a great solution. If you’re trying to stay keto, try taking them in a savory direction by serving them with a bit of sausage and skipping the sweet altogether. For a paleo option, try some fresh fruit. 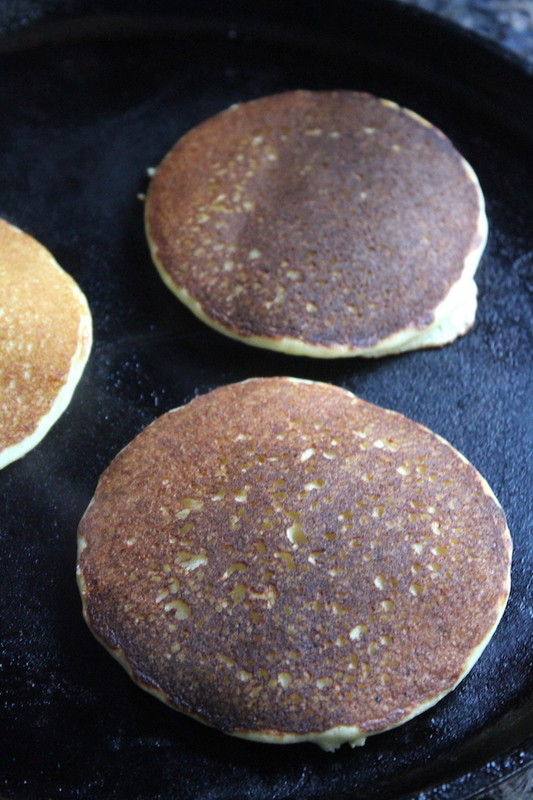 These simple almond flour pancakes cook up quickly and keep you full all day. Mix almond flour, baking powder and salt in a medium bowl. Whisk in eggs and almond milk. Cook for a minute or two before flipping. 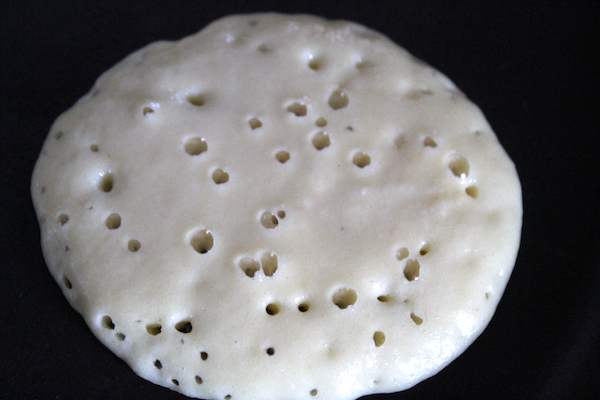 Flip when the bubbles form and pop on one side, leaving holes showing the batter is cooking through. Cook on the second side and then remove to a plate to serve. Recipe makes 12 silver dollar pancakes (about 3 inches).